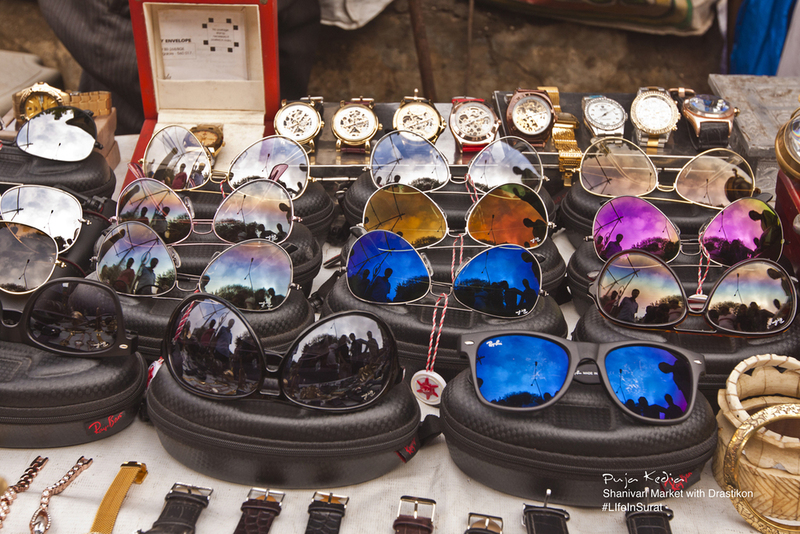 For the next adventurous #LifeInSurat blog post we decided to follow Drashtikon (Surat Photography Artisans) on their photowalk to the famous - "Shanivari Market" (Saturday Market). 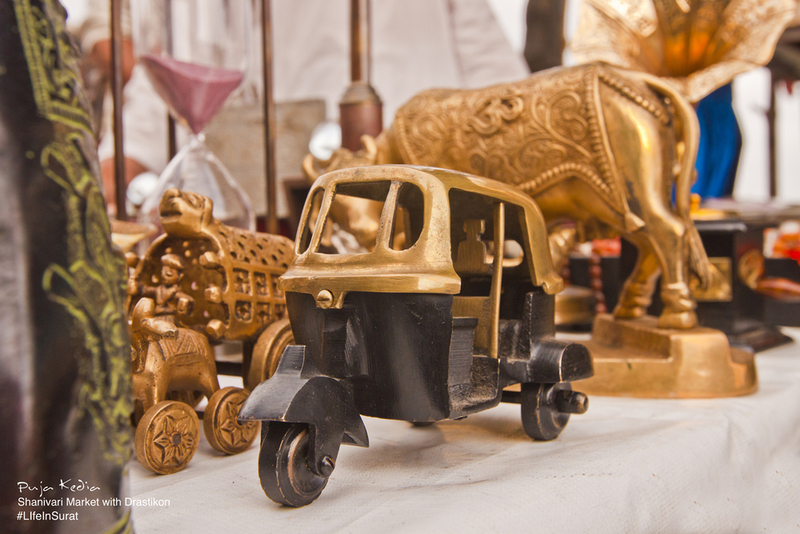 Must Visit for – Bargain Shoppers, Culture Enthusiasts, Street Photographers. Avoid If – Agoraphobic (fear or crowds), Cleanliness Freaks, Brand Conscious. 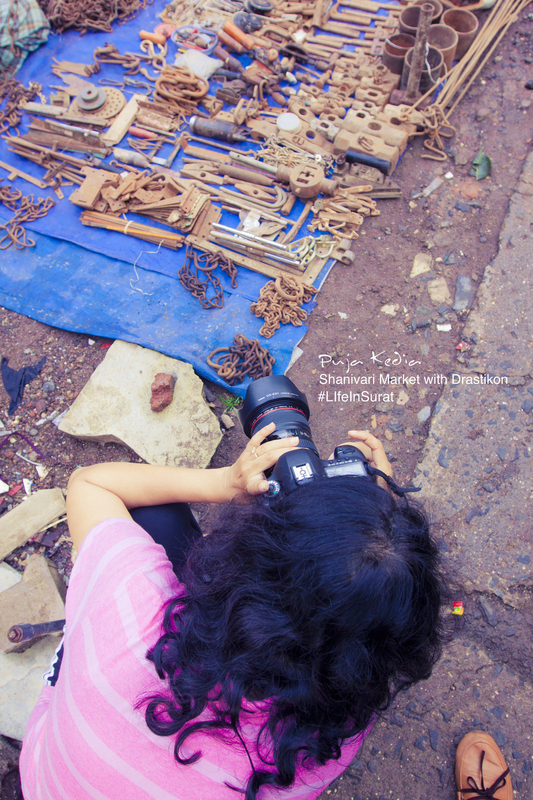 Drashtikon (Surat Photography Artisans) is an online community of photography enthusiasts from Surat. 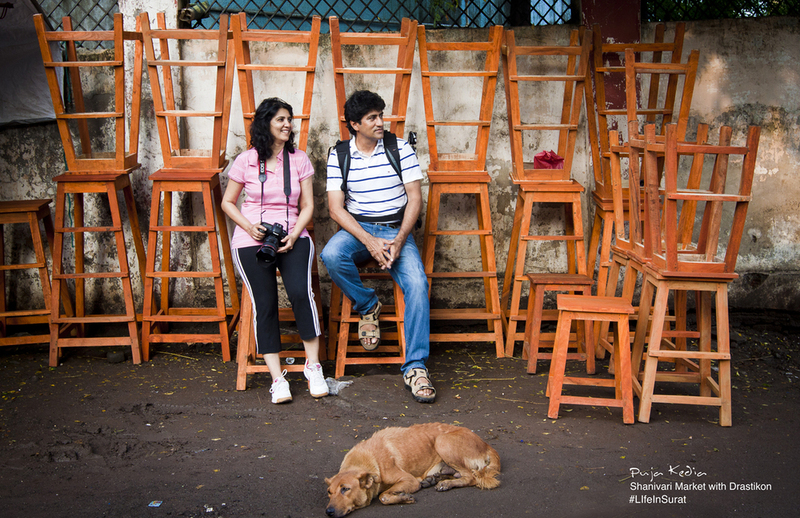 Famous for their weekend photowalks, the group now has around 1800 followers on Facebook. A community to learn, share & explore photography. 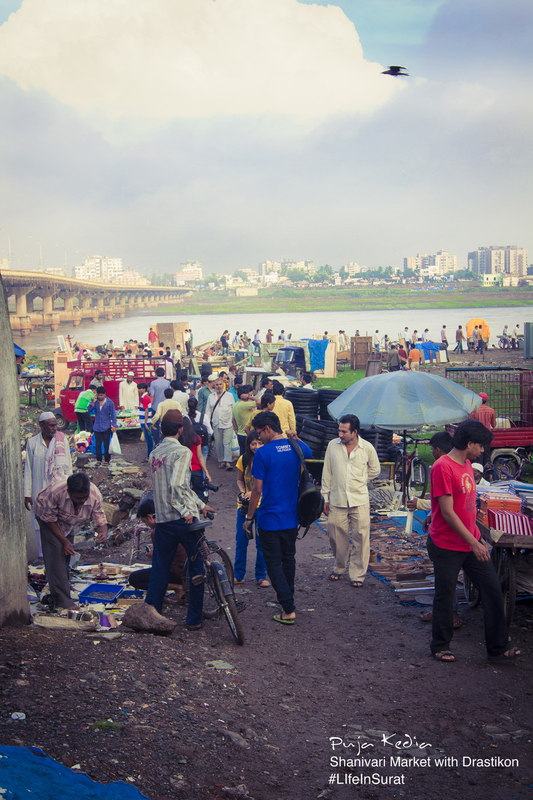 The place where the market happens is not a street, it is not a square and it is not within a building... it is just an open space between two bridges across the river (Tapti water front between Makkai Bridge and the new Hope Bridge). As you enter the market the first thing you should be very aware of is that walking in this market is like playing french cricket !!! Anything can get you from any direction.... Your eyes must continuously be scouting for things coming your way and legs must be continuously engaged in dodging them... Things of all sizes just wooooooh pass you as if they have an inbuilt ferrari engine !!! The visual experience of this market totally depends on who you are, why you are here and what you are here for... Just as your eyes search for a special buy, your ears listen intently to the prices being shouted by the vendors as they deftly move their hands and raise their voices to attract customers. There is something for everyone... you just need to find the needle in this haystack. 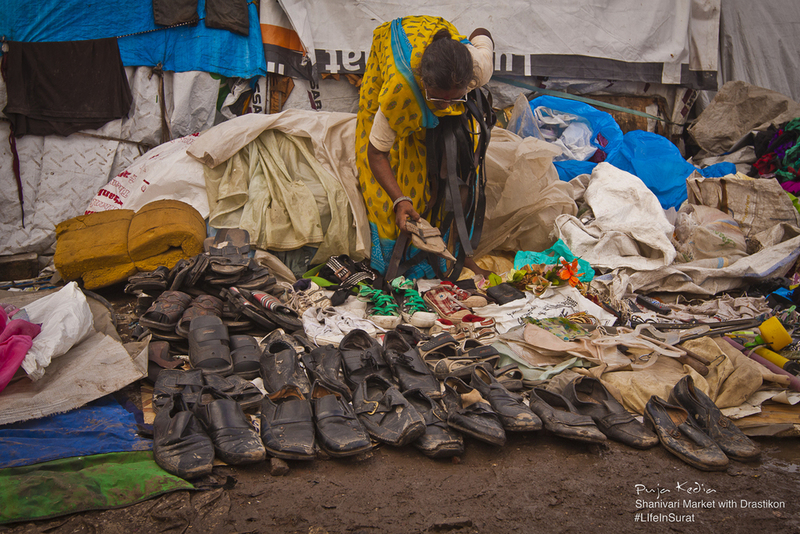 Shanivari Market in the mean while was also showing me its vast expanses... And i was asking myself questions like - are these registered traders ??? How many households would this market be directly or indirectly serving ??? For how long in the history has this market been sustaining itself ??? And more importantly... what is the foreseeable future of this bazaar ??? The Currency Of The Past. 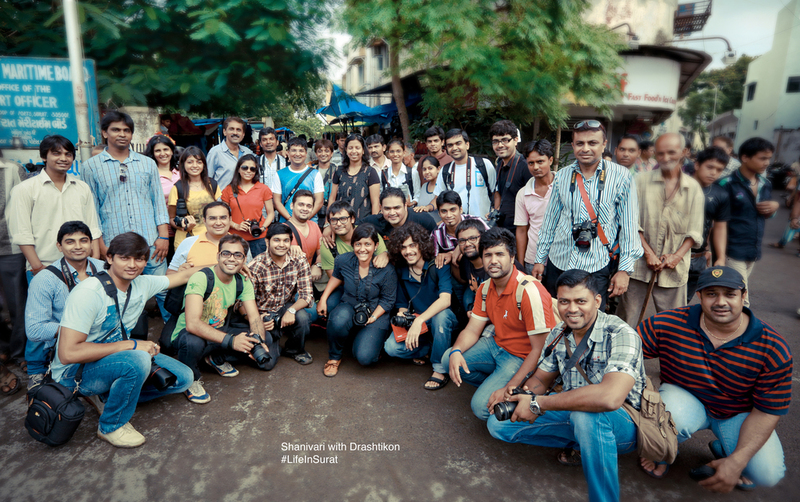 Group Photo With Drashtikon at Shanivari Market. It was then the time to disperse... but i had a really good time with Drashtikonians at the photowalk and look forward to more of such opportunities in the near future. It is really great to be amongst such an enthusiastic and energetic group of people. 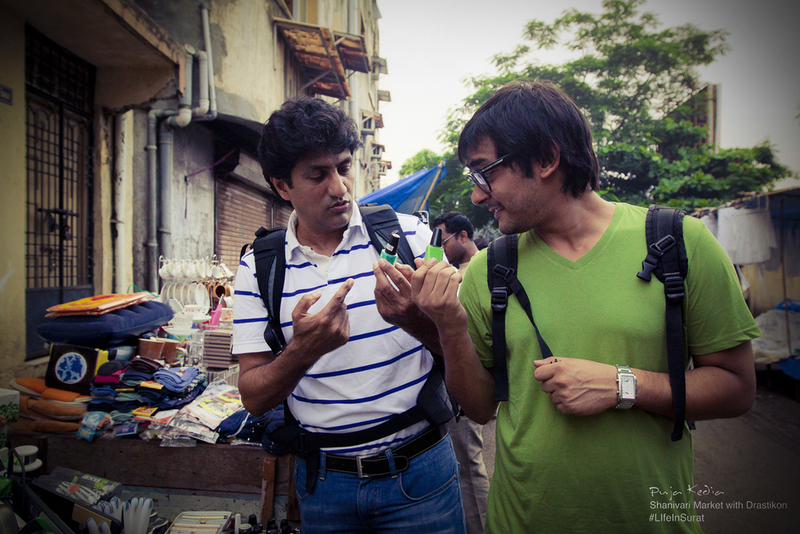 Thank You Drashtikon and Thank You Chittu Bhai, Neha and Manoj for an absolutely amazing time at the Bazaar. Adios.